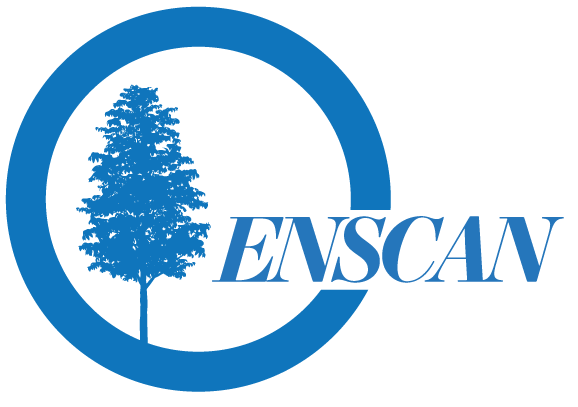 The workshop was opened by Nina Goga and Lykke Guanio-Uluru on behalf of the NaChiLitCul research group, followed by an introduction to ENSCAN by Reinhard Hennig, highlighting ENSCAN as a network for international collaboration on ecocritical and environmental perspectives on Nordic literature and culture. During the workshop, presentations were given on a variety of books and topics. One goal for this workshop was to explore what is typical or distinctive about Nordic children’s and young adult (YA) literature, and the Nordic way of relating to nature. During this workshop, it became evident that certain types of landscape are recurrent in the Nordic children’s and YA literature presented. The snowy landscape was repeatedly featured, as exemplified by the arctic snow and ice landscapes in Jean Davies Okimoto’s Winston of Churchill- one bear’s battle against global warming (2007), or the landscapes of Svalbard and Sápmi in the books presented. Rivers and freshwater springs were other recurring elements in the landscapes, as for example seen in Emmi Itäranta’s Memory of Water (2014), Ragnar Aalbu’s Anda i Ødemarka (2012) and Mats Söderlund’s Hotet (2018). Yet another recurring landscape was the forest landscape, as for example seen in Lene Ask’s Du (2016) or Eva Lindström’s I skogen (2008). In this context, several of the presenters discussed representations of the Sami people, a native population in the Nordic countries, and of their relationship to nature. During the workshop, several relationships to nature were described; for example nature as a place of maturing and testing your strength, nature as a harmonious place and nature as a force with its own agenda. Many of the books studied featured girls in relation to the wilderness and animals. Animals and interspecies relationships were also recurring themes in the workshop. There were presentations on horses as a ‘companion species’; on anthropomorphic animals; and on the representation of such animals as polar bears, ducks and insects. There was a clear understanding that Nordic landscapes have something unique to offer. This workshop, arranged by the research group Nature in Children’s Literature and Culture (NaChiLitCul) at Western Norway University of Applied Sciences, in collaboration with the Ecocritical Network for Scandinavian Studies (ENSCAN), is intended as a platform for the sharing and development of ecocritical approaches specifically directed towards Nordic children’s and young adult literature. In this way, the workshop will contribute to a mapping of the particularities of the Nordic texts, while opening up for comparative approaches. The workshop will take place at Western Norway University of Applied Sciences (HVL) in Bergen, Norway, on October 25th – 26th 2018. The proceedings will have a round-table format, with a 15-minute presentation followed by a 15-minute round of comments and discussion for each presenter. The focus is thus not on completed projects but on the development of projects that are underway. Researchers from NaChiLitCul will offer feedback to each presenter. Participants must submit an abstract of maximum 300 words, sketching their project. Submit abstract to: Lykke Guanio-Uluru: hagl@hvl.no. We encourage all scholars with an interest in ecocriticism and sustainability issues in Nordic children’s and young adult literature to submit an abstract. PhD candidates are welcome as presenters and participants.